The compact Drift. 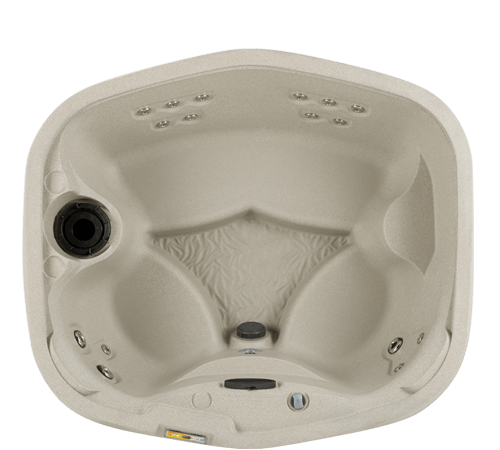 by Fantasy Spas, brings you maximum comfort without sacrificing quality. Sit back and relax as the 17 jets massage your stress and tension away. The open barrier bench seating makes this spa perfect for socializing. This backyard oasis comes with a built-in cascading waterfall and multi-color LED light that will relax your muscles and your mood.